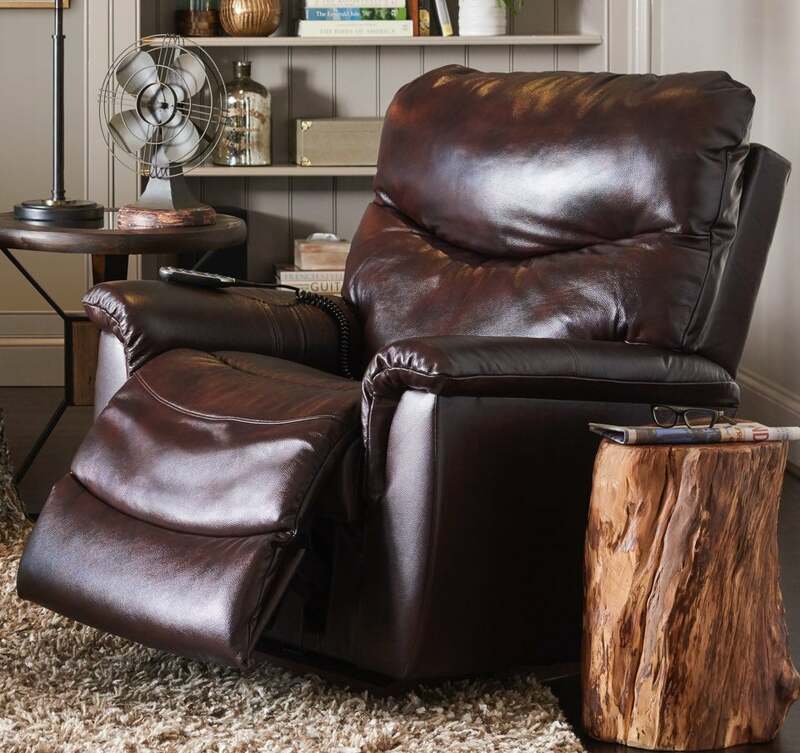 Our recliners are second to none when it comes to quality and style. 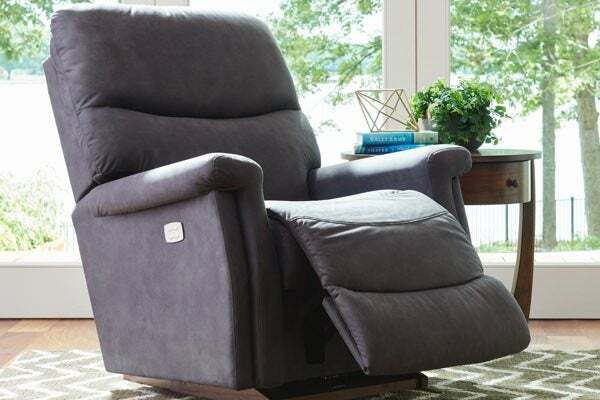 For 90 years, La-Z-boy has defined comfort. 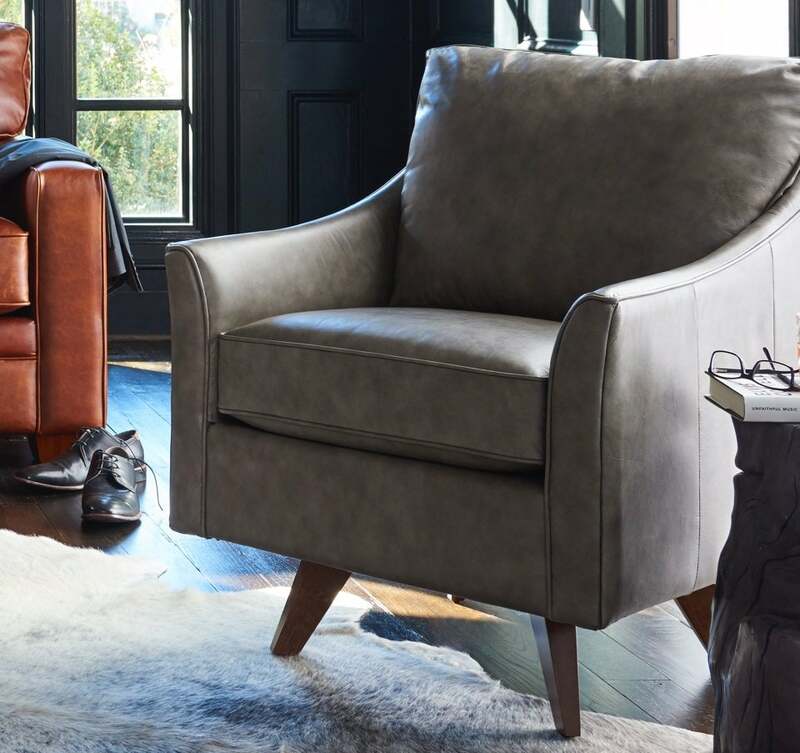 Now we’re setting the bar for style. 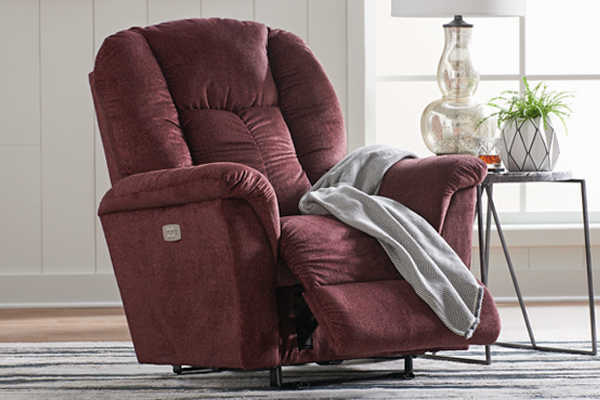 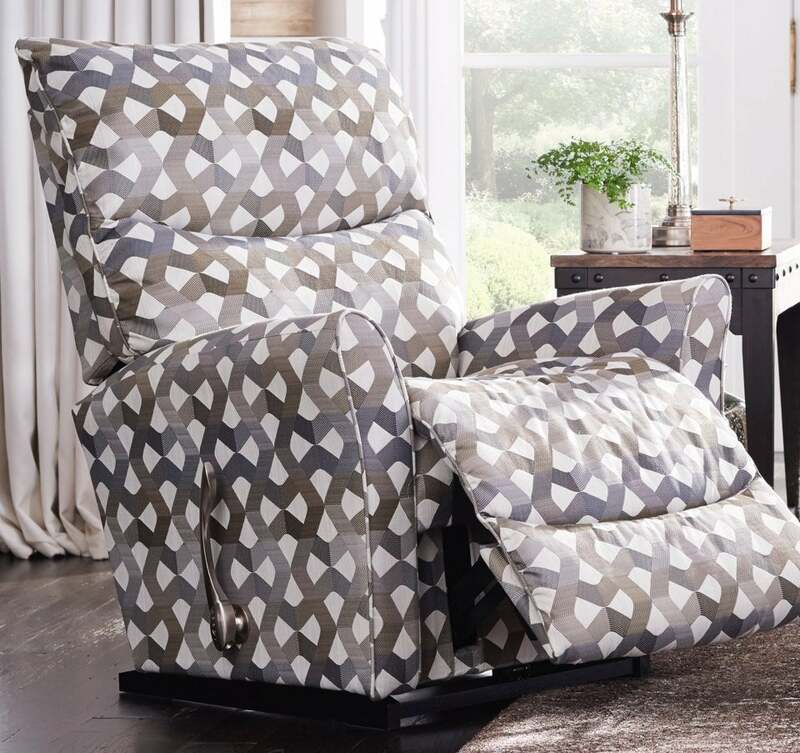 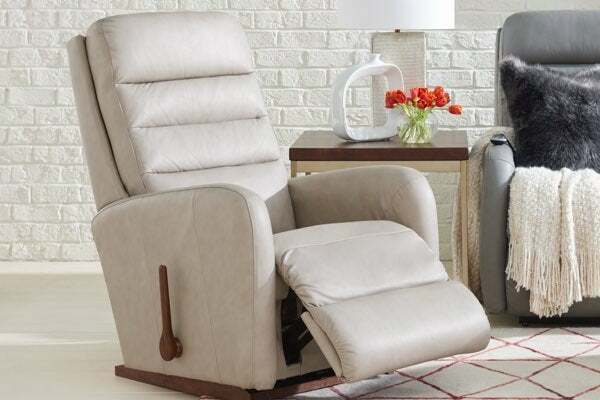 With modern silhouettes and designer details, we offer recliners in looks you’d never expect. 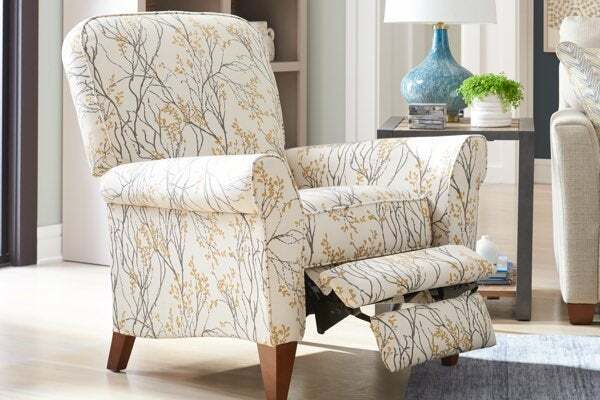 Add a personal touch with fabrics, finishes and trim. 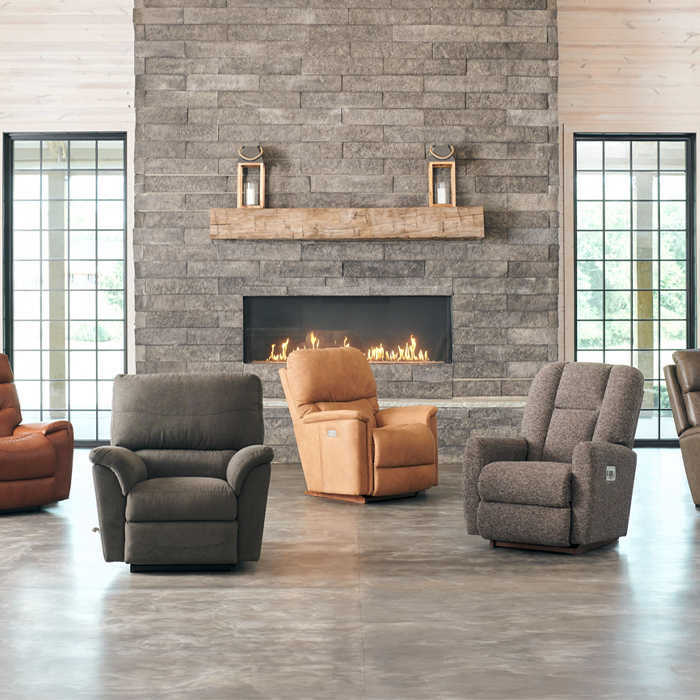 Add power, cushion and style options for personalized comfort and quality. 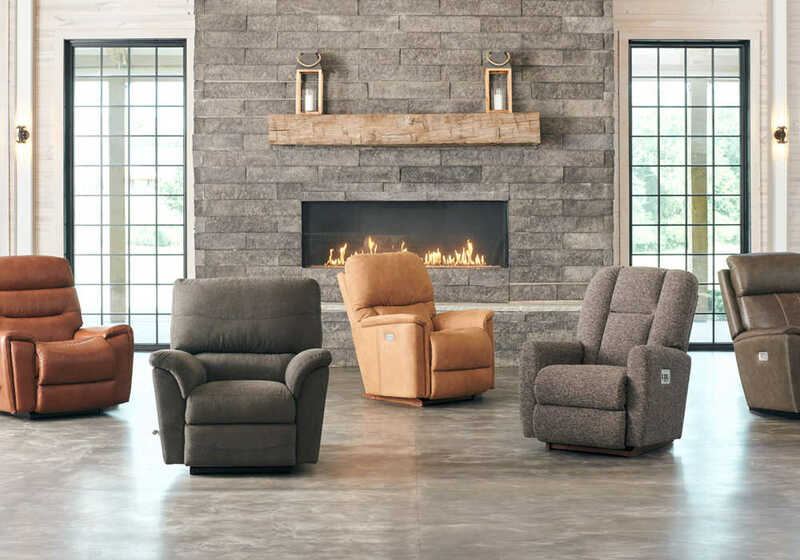 We’re setting the standard for comfort and quality. 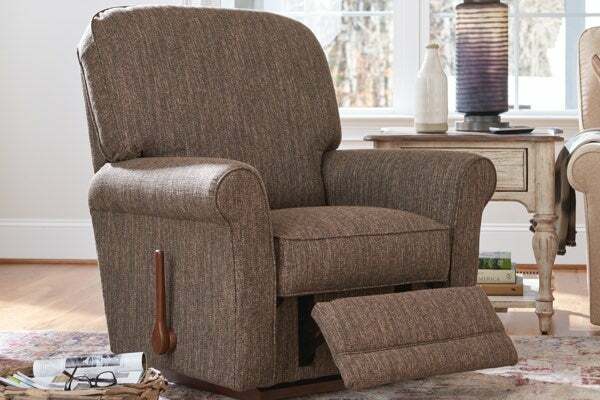 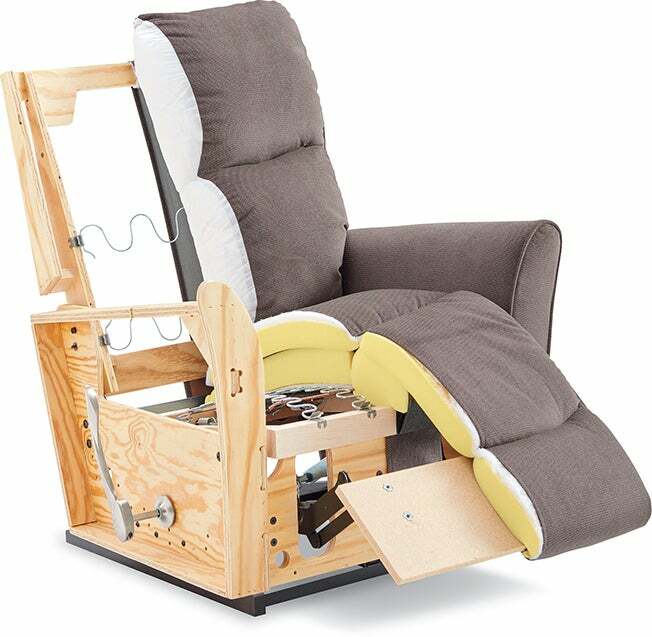 Every La-Z-boy recliner is engineered with patented reclining technology and handcrafted in the USA from the finest materials. 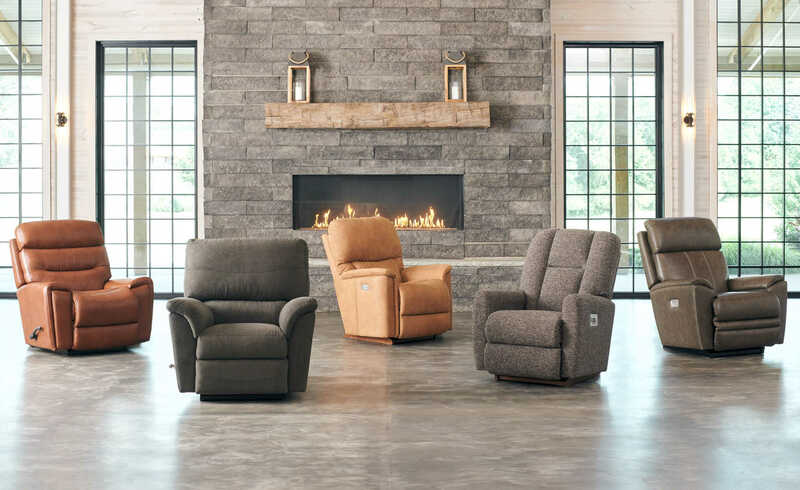 And, they’re backed by our industry-best Limited Lifetime Warranty. 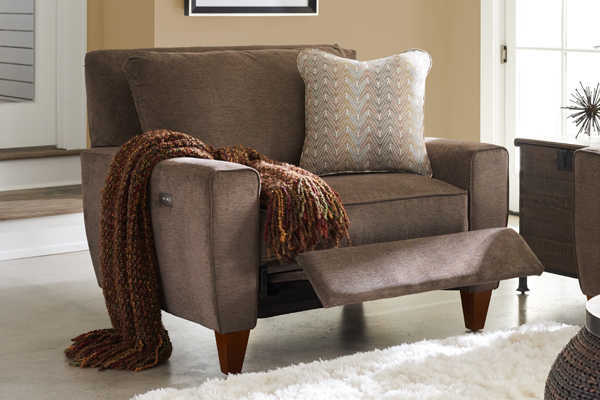 High-quality polyurethane foam gives our cushions increased softness and support while providing exceptional durability. 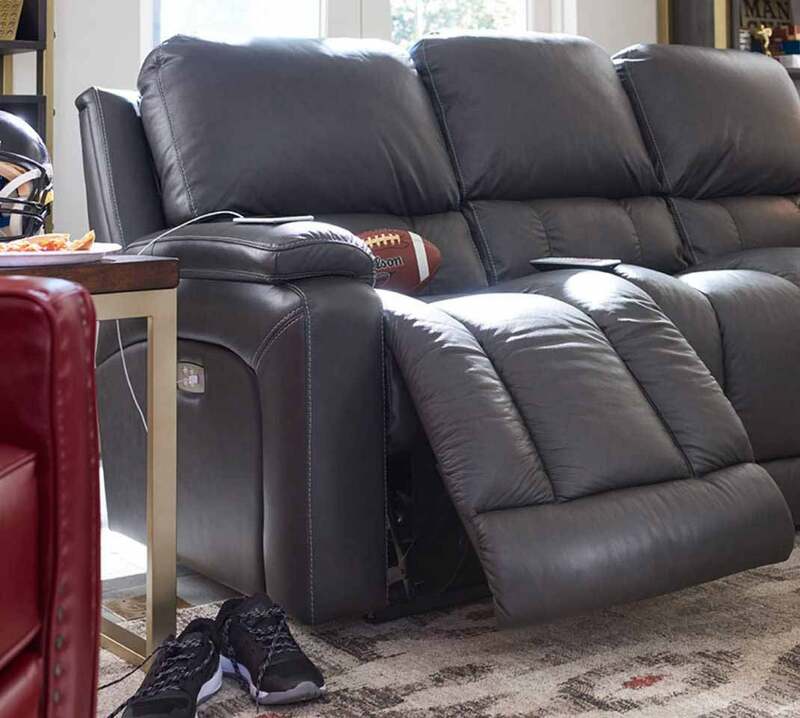 Upgrade to airform™ responsive cushioning for comfort that contours to your body, and reduces pressure to sensitive areas like your hips and back. 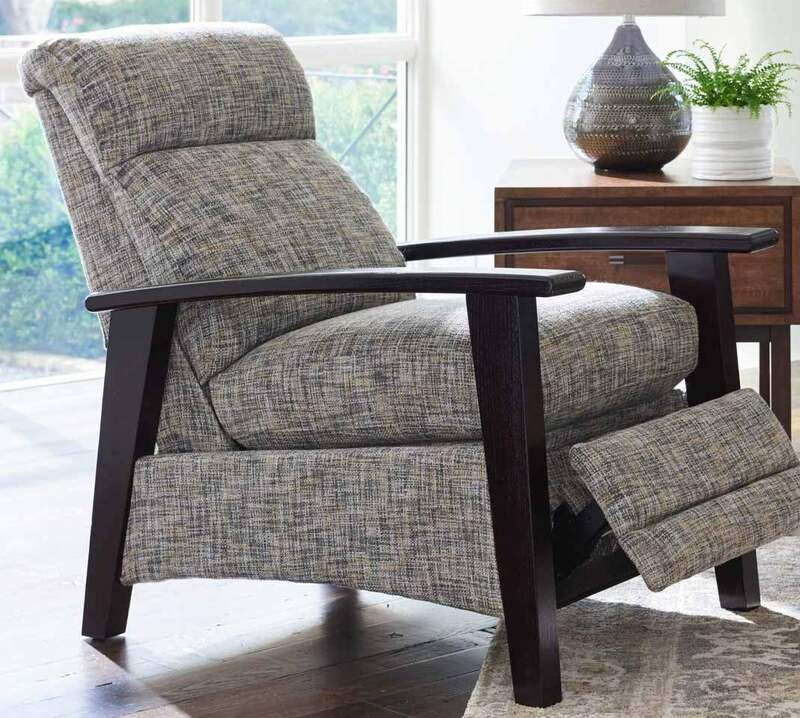 Life can be hard on furniture, so our fabrics and leathers are weartested for quality and durability, ensuring they stay beautiful for years to come. 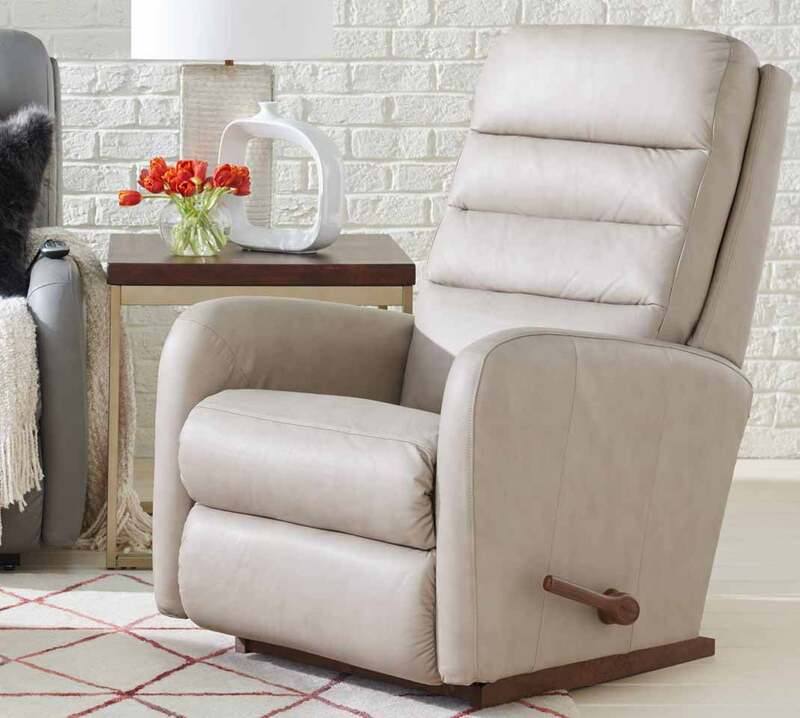 Perfect for life’s little mishaps, our stain resistant iClean™ fabrics repel spills before they turn into stains.